Seniors living at CityView will enjoy living in one of the most desirable and sought after areas in all of Southern California. Experience a world of LA culture including an abundance of museums, theaters, shopping, attractions, parks, landmarks and architecture. 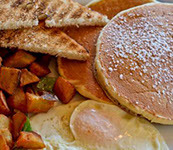 Located within just four blocks of CityView are a few of our favorites. Look out the window and you’ll gaze at a really great place for sushi, a staff favorite! The front desk has the menu. Order for delivery or walk across the street and enjoy fresh, tasty treats. A critic’s pick for some of the best barbecue in Los Angeles. Outdoor seating and creative cocktails make this a nice place to walk on a spring afternoon. 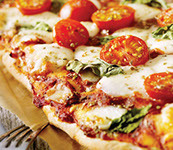 Serving authentic Roman-style pies at a seriously affordable price; most are under $10. 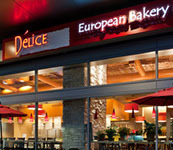 Featuring cases of house-baked breads, cakes, tarts and pies, just a two block walk to Beverly Blvd. Serving deli style sandwiches, Kosher Chinese and sushi. The draw here is the huge all day breakfast menu, which offers outdoor tables for dining and people watching. 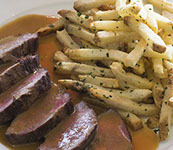 This place is quiet (you can hear one another) and brings a touch of Paris to our backyard with excellent value on steaks, fries, wines and cheeses. Located just on the other side of Melrose, there’s usually a line, but they’ve got the widest variety of dogs in town. Located within close proximity to CityView are some of the largest and most famous shopping centers in the world. This huge eight-story structure is located at the edge of Beverly Hills and West Hollywood at the corner of La Cienega Blvd. and Beverly Blvd. 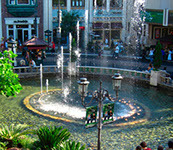 Their inside mall features many well-known brand shops, as well as a sweeping view of Los Angeles on their own rooftop terrace. This hugely popular outdoor retail and entertainment complex is located a few blocks south and around the corner on W. 3rd street, next to the historic Farmer’s Market. 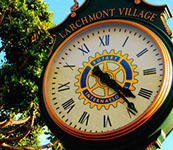 Every Friday, the CityView shuttle takes residents to The Grove and Farmer’s Market between 10:00 a.m. and 2:00 p.m. 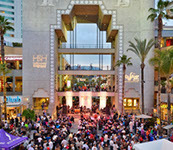 This Hollywood shopping mall and entertainment complex includes the TCL Chinese Theatre and the Dolby Theatre (home to the Academy Awards). Located in the heart of Hollywood, and along the Hollywood Walk of Fame, it is one of the most visited tourist destinations in Los Angeles. 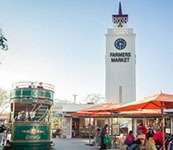 This world famous outside market and historic LA landmark offers over 100 vendors including gourmet grocers, produce vendors, restaurants, tourist shops, and ready-to-eat foods including many ethnic foods. 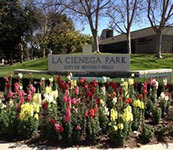 The CityView shuttle takes residents to The Grove and Farmer’s Market between 10:00 a.m. and 2:00 p.m.
With lovely views and excellent walking paths, CityView is located close by to some lovely parks and recreation centers. 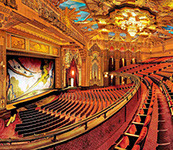 LA is home to some of the best theaters, and so it's easy to find the ones that feature the most popular movies, independent movies, as well as top Broadway productions, as well as other great productions in some of the smaller venues. Below are some of the more popular places CityView residents like to frequent. Offering 14 screens, stadium seating, featuring the latest popular movies. 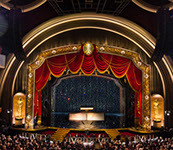 This Red Carpet theatre is host to such high profile events as The Academy Awards, The Daytime Emmy Awards, America’s Got Talent, The ESPY Awards, and many others. 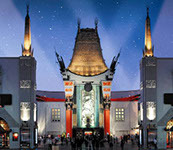 This incredible movie palace located at Hollywood and Vine is from Hollywood’s Golden Age, and is Southern California’s showplace for blockbuster live Broadway entertainment. 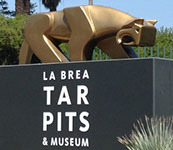 An essential part to experiencing the extensive culture LA has to offer revolves around the amazing number of museums there are to visit. Quite a few museums are located very close to CityView, and we make it a point to check in with at least one of these top attractions on a monthly basis. 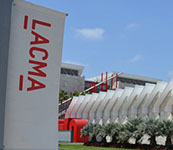 This museum is the only museum in LA to show exclusively craft, folk art, and design. It presents six original exhibitions every year that range from the local to the global, traditional to contemporary. 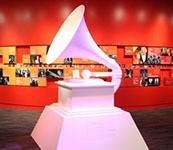 This interactive, educational museum is devoted to the history and winners of the Grammy Awards. Learn about the various musical genres and their history. Experience the world’s only active, urban Ice Age fossil and excavation site, a re-created prehistoric Pleistocene garden, and an adjacent museum featuring their best fossils and see Paleontology in action. 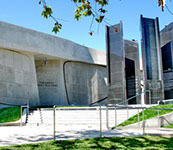 This museum is the largest art museum in the western United States, attracting almost a million visitors annually. 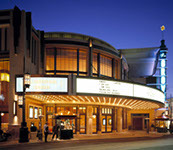 CityView residents also can enjoy a classic film screening here at least once a month on a selected Tuesday. If you’re into cars, you won’t want to miss a visit to this museum, which has on display at least 100 vehicles in its twenty-five galleries.